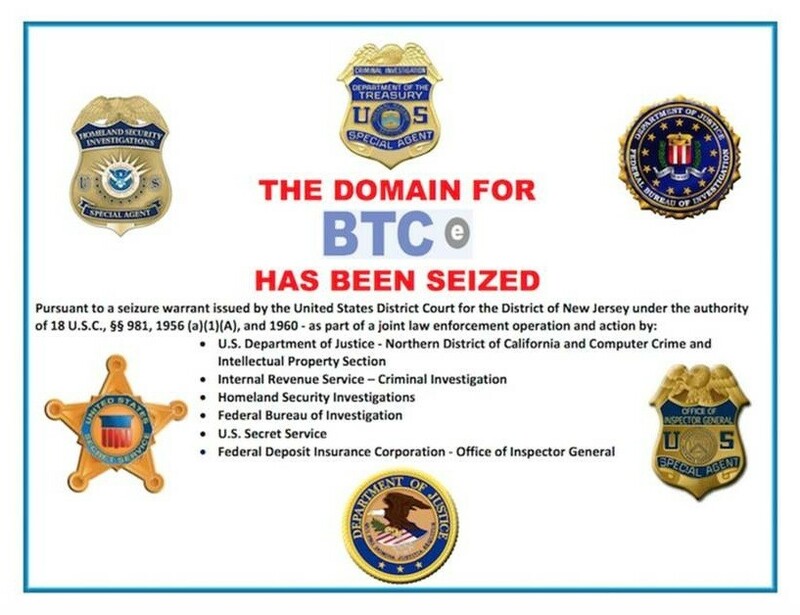 Recently a known Bitcoin exchange which is BTC-E has been shut down and seized by 6 US law enforcement agencies, due to the exchange’s involvement in the theft of 2.21 billion USD from two well-known Bitcoin exchanges Bitcoinica and Mt. Gox. The founder of BTC-E who is named Alexander Vinnick was arrested in Greece and was charged with 4 Billion USD in money laundering violations due to his personal use of his Exchange in committing such acts. According to Google and blockchain analyst firm Chainanalysis; 95 percent of ransomware payment has been cashed out through BTC-E which explains why the authorities grew suspicious and then decided to shut it down. Some parts of the world has already regulated their bitcoin markets, exchanges and trading platforms by strictly complying to Know Your Customer aka KYC and Anti-Money Laundering aka AML policies. Exchanges need to store a database of its customers, their personal information and clear details into transactions done by the exchange for its customers in order to be fully compliant with the law. Bitcoin gave most of us the impression that it can provide anonymous transactions to keep one’s identity safe and out of reach from the authorities; however that was not the case, because law enforcement agencies including the FBI and Europol successfully traced bitcoin payments received by criminals on the dark web, over the past few years. It is impossible for law enforcement agencies and investigators to identify a user through a bitcoin wallet that easily. In order to trace the transactions done by suspects, law enforcement agencies must urge and get the cooperation of bitcoin exchanges and utilize their KYC systems and information database to trace the identities of the hackers. There is of course a loophole so that criminals can still launder bitcoin transactions by mixing the inputs and outputs of transactions. A ransom demand in every ransomware is one of the most popular ways to extort money from users who are affected by it; the method of payment is of course to pay through Bitcoin. The most popular Bitcoin exchange where cyber-criminals chose to go is to BTC-E, why? According to investigators from Financial Crimes Enforcement Network (FinCEN), the founder of BTC-E and other executives utilized the platform to aid cyber criminals who have earned a lot of money from fraud, identity theft, ransomware, and drug trafficking. Why would they do it? There are a lot of huge easy money activities from cybercrime itself, and for the exchange to gain popularity and at the same time “profit” from blockchain transaction, they deliberately turned a blind eye on these activities and thus protected the criminals by asserting its own authority over its AML and KYC policies, in other words they always refused to cooperate with the authorities. Always make it a habit to keep your computer systems protected either by Malware protection or a robust data back-up plan, or why not both? In this age of information, one must take advantage of different protection methods to ensure that data is protected and that systems will be harder to compromise. A pre and post protection strategy would be best for every essential digital asset that you own. Take the ransomware for example; you would not want to pay hundreds of dollars just so you can decrypt all the files that were encrypted by it. There is also no guarantee that your systems will be restored after paying the ransom.